Amedeo Avogadro (1776-1856) Italian chemist known for his gas law and the constant that bears his name. August 9 is Lorenzo Romano Amedeo Carlo Avogadro di Quaregna e di Cerreto’s Birthday. You may know him by his shorter name: Amedeo Avogadro. Avogadro was an Italian chemist known by students of science around the world. His gas law and the constant that bears his name is one of the first numbers a chemistry student memorizes. He was one of the first that suggested gas molecules in the air could be combinations of atoms bonded together. In spite of all this, in 1856, when Avogadro died, his work was barely acknowledged. He was actually part of a noble family from Piedmont, Italy. 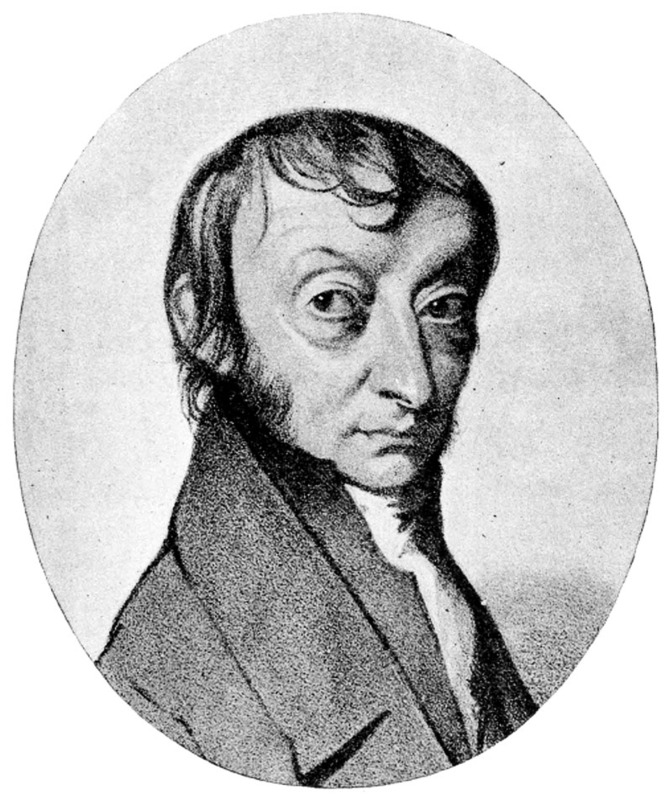 Avogadro was formally educated and served as a lawyer. He learned mathematics and chemistry through private lessons on his own time. He eventually held the chair of physical chemistry at the University of Turin. Avogadro’s Law was based on the work of Gay-Lussac. Gay-Lussac demonstrated when volumes of gases combine at the same pressure and temperature, the volume of the products will be an integer multiple of the initial volumes. Avogadro took it a step further. He theorized equal volumes of gases at the same temperature and pressure would have the same number of molecules. This, in turn, led to the idea that the ratio of the relative atomic weights of two gases would be the same as the ratio of their densities at the same pressure and temperature. Avogadro proposed gas molecules in the air were made up of ‘elementary molecules’ or what John Dalton was calling ‘atoms’. He felt this would explain why Gay-Lussac found the volume of water vapor was twice the volume of oxygen used to create it. The oxygen molecule was actually two elementary oxygen molecules joined together. This idea was generally ignored since people believed molecules are formed when two parts of opposite electric charge are attracted to each other. If there were two identical parts with the same charge, they should repel each other. Some have suggested Avogadro’s work was often ignored because he was in Italy. Most chemists of note were from Germany, Sweden, France or England. These countries were at the forefront of chemical science, not Italy. It is disappointing his contributions to chemistry were not widely recognized until after his death. Eventually, much of what he said was true. His name is associated with the number of molecules or atoms found in one mole of a substance. Avogadro’s number is equal to 6.022 ×1023 mol−1. This is one of the first things a new chemistry student learns along with the name of the man. 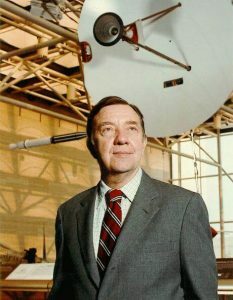 2006 – James Alfred Van Allen died. 1969 – Cecil Frank Powell died. 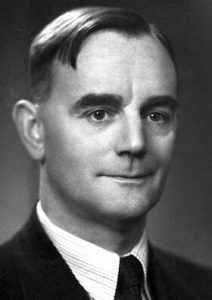 Powell was a British physicist who was awarded the 1950 Nobel Prize in Physics for the development of the photographic nuclear emulsion plate technique of studying nuclear processes and the discovery of the pi meson or pion. Pions are a class of mesons that help explain the strong nuclear force in particle physics. 1945 – U.S. drops the second atomic bomb on Japan. 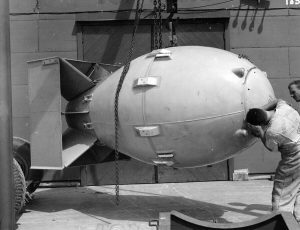 The United States dropped a second atomic weapon. The ‘Fat Man’ atomic bomb was dropped on the Japanese seaport city of Nagasaki. Nagasaki was a secondary target for the second atomic bomb. The primary target was the city of Kokura, but was covered by clouds that morning. Casualty estimates range from 40,000 to 75,000 immediate deaths and up to 80,000 by the end of 1945. 1911 – William Alfred Fowler was born. Fowler was an American astrophysicist who was awarded half the 1983 Nobel Prize in Physics for his studies of nuclear reactions and the formation of elements. He described how elements could be formed and explained their abundance by the process of nucleosynthesis in stars. 1899 – Edward Frankland died. Frankland was an English chemist who was a pioneer in structural and organometallic chemistry. 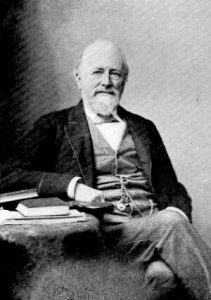 He proposed the theory of valence to show how individual atoms of elements would combine only with certain limited numbers of atoms of other elements. He was also involved with the discovery of the element helium from the Sun’s spectra with Norman Lockyer and Pierre Jules César Janssen. Lane was an American astrophysicist who was the first to build a mathematical analysis of the Sun as a gaseous body. He demonstrated the thermodynamics of pressure, temperature, and density of the gas within the Sun. His work was the basis of the theory of stellar evolution in use today. 1897 – Ralph Walter Graystone Wyckoff was born. 1776 – Amedeo Avogadro was born.